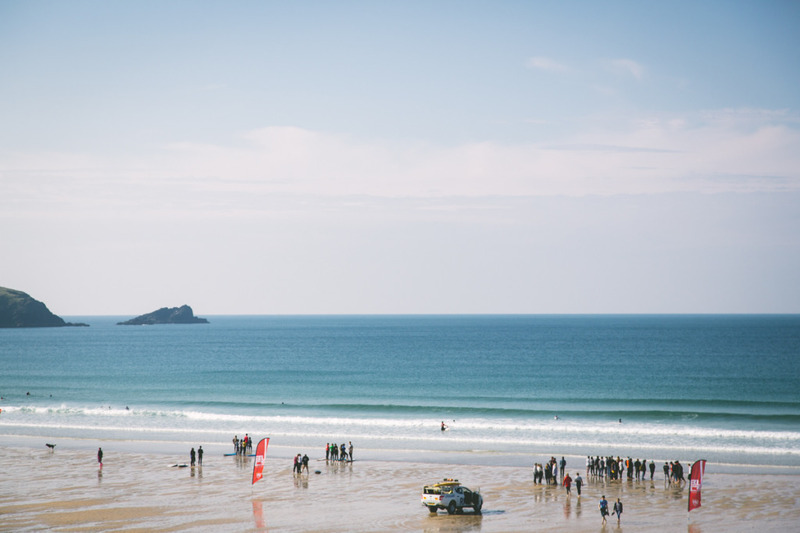 It’s that time again when students from across the land dust off their wetsuits, wax up their surfboards and take the annual pilgrimage to Newquay for the BUCS Surf Championships. After weeks of pumping surf in Newquay, the surf gods changed their mind and delivered flat-1ft surf for the first day of competition. The surf gradually grew throughout the day and after a little bit of waiting around the girls got in for the first heats of the competition at 11 o’clock sharp. With an impressive 340 people entered this year – 252 men and 88 women, double peaks were needed to shift through the heats. With no reigning champion for the women’s open this year it gave room for some new talent to shine through and take the title. Even at this early stage, there were some impressive looking female surfers standing out even in the small and tricky surf. The main contenders this year are looking seriously good. From Bristol University, Flora Lawton, a local from Croyde, Devon. Flora is looking seriously strong and is predicted to sail through to the finals this year after some classy and technical surfing in the early rounds. Also coming up strong are Emily Williams, from Swansea University and Megan Mckay from the University of Aberdeen. All were looking like a force to be reckoned with and proceeded through their heats to the semi-finals with ease. Although, there has been some shock results in the women’s open with Exeter University’s, Mollie Erskine, who placed third overall last year being knocked out in the early stages today. While the girls smashed it in the small conditions in the water everyone else was kept entertained with some intense looking volleyball competitions, a slip’N’slide and an array of tents filled with goodies from us at Wavelength, The RNLI, The Wave Project and Star Surf camps to name just a few. With tomorrow bringing the men’s first round heats and the forecasts looking promising it’s looking like Saturday could be an action packed day. Time now for just a few evening activities and a good nights sleep before tomorrow’s 8am call and 8.30 start. Bring it on.